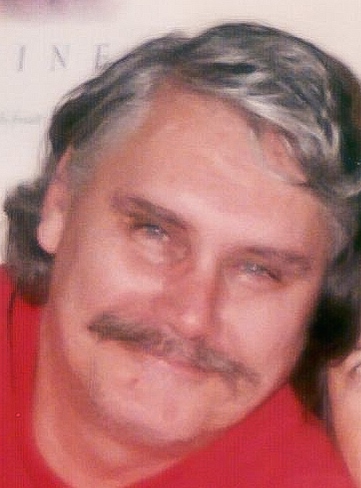 Rudy Roc Heyn, age 67 of Grand Haven, passed away peacefully on Wednesday, September 5, 2018 surrounded by family. Rudy was born on October 4, 1950 in Grand Haven to Robert and Helen (Graves) Heyn. Rudy was married to Theresa Clark on June 25, 1977 in Grand Haven. He was employed at Eagle Ottawa Leather Company where he worked for 32 years. Rudy loved to cook, spend time in his garden, as well as hunting, fishing, and camping with his family. He enjoyed woodworking and had a passion for drafting, along with his vast collection of M&M memorabilia. He was a former member of St. John's Lutheran Church of Grand Haven, where he attended grades K-8 during his elementary years and graduated from Grand Haven High School. Rudy is survived by his wife, Theresa, and children: Mike (Stephanie) Heyn, April Heyn, Lisa (Mark) Lam, Kristin Heyn, and Kendra (Mike) Lloyd; 17 Grandchildren; sisters, Ann (Ken) Kozloski, Rose (Mike) Kolbe; and mother-in-law, Beverly Clark. He was preceded in death by his brother, Robert Heyn II; and sister, Jeanne Deephouse. The Memorial Service for Rudy will be held at 11:00 AM on Monday, September 10, 2018 at St. John's Lutheran Church with Pastor Kurt Wenzelburger officiating. Visitation will be from 10:00 - 11:00 AM at the church. Memorial contributions may be made to the Mercy Health Johnson Family Cancer Center.